Lynette and I got back from Urbana on Sunday – first day I have had a chance to post. 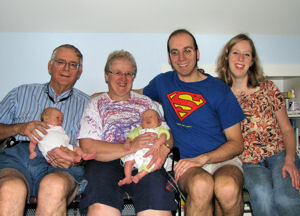 We had a great time with our new grandchildren and their wonderful parents. It was a real blessing to be able to hold, feed and other less fun “business” with the tiny little gifts from God. Marissa is the smallest baby I have ever held! 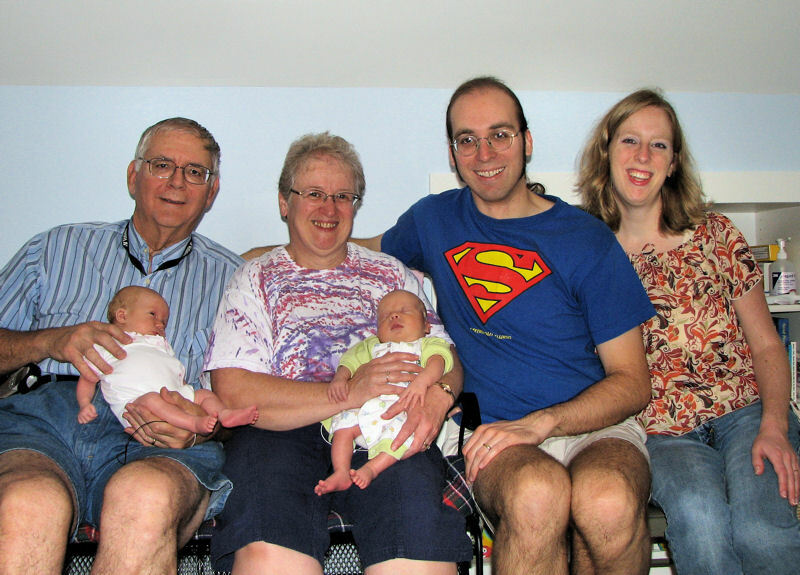 Zach is the second smallest – I don’t think either of our kids were ever that small. They are so much fun, to watch and be around and we missed them the first night. Anyway, below is an Olson family portrait (at least the US residents). The Olson Tribe - US only division.